I think you are in for a treat as we discover more about his career in Counter Terrorism and his writing. and unluckily for some, possibly been one of those unfortunate enough to come eye-ball to eye-ball with him as he buys his groceries – whilst he recalls when, where, and why he arrested you in his former life…let’s hope not! As a former Scotland Yard detective, David Videcette has worked on a wealth of infamous cases. With twenty years’ policing experience, including counter-terror operations and organised crime, David was a key investigator on the 7th July 2005 bombings in London. He is the holder of many police commendations including one for tracking down a 7/7 bomb factory. He’s chased numerous dangerous criminals, placed bugs on scores of vehicles, searched hundreds of properties and interviewed thousands of witnesses. David is a regular commentator for international news and media outlets such as the BBC, NBC, Sky, ITV, The Wall Street Journal, Telegraph newspapers, The New York Times, Newsweek, The Guardian and The Independent. He also blogs about crime and policing, writing and publishing. His television credits include, ITV’s The Bill, BBC’s Burgled and Crimewatch. The truth behind his first novel, The Theseus Paradox, was investigated by one of the UK’s leading investigative journalists, Andrew Gilligan, and featured in the Sunday Telegraph and on ITV News. You can find out more about David via his website here or chat to him on Facebook, Instagram, or Twitter. To watch some of his interviews, you can subscribe to his YouTube channel here. To be in the hat for a chance to win signed copies of David’s books, join his newsletter by popping in your email address here. As a former counter-terrorism detective with 20 years of experience did you harbour dreams of writing before you joined the police force? I never dreamed of being an author. No. I had dreams of being many other things, but not an author. I remember the careers officer telling me the year before I was due to leave school, ‘Keep your expectations realistic’. Looking back now, I’m guessing he’d never had anyone tell him they wanted to be a secret agent or an astronaut? I told him I could do it. He basically laughed me out of his office. Before, during and after my time in the police, however, I’ve always written. I started out with blogs and articles for trade magazines. I also discovered that writing police reports is a great way of honing your communication skills. Day in and day out, you have to explain what happened in a concise, easy-to-understand format, for someone who wasn’t in attendance at the scene. When you joined the police did you aim to become a detective and did you have ambitions to work in counter-terrorism? It wasn’t until after I’d tried out jobs in various other sectors, and decided that my skills were better utilised elsewhere, that I joined the police service. I worked really hard at police training school in the early nineties, and learned all the techniques and laws that I needed in order to graduate to becoming an officer in uniform. I can vividly remember when the decision to join counter-terror took hold of me. On the night of 9th February 1996, I was inside a police building in south London, near to the Blackwall tunnel. At 7pm there was loudest explosion I had ever heard. It shook the windows and rattled the doors. I felt the vibrations through the ground. Half a mile away, the IRA had annihilated Canary Wharf with a huge lorry bomb; two people dead and £500 million pounds worth of damage. We rushed to assist our neighbouring police borough, just across the river – and I had never witnessed a scene like it. Complete devastation. Gigantic tower blocks had been gutted by the blast, some of which had been moved off their foundations. But you had to be a detective to do that, so that’s what I set about becoming. Twenty-two years after my hopeless meeting with my school careers officer, after blood, sweat and tears working my way through borough policing, CID and organised crime – I was selected for the Anti-Terrorist branch – a highly trained, specialist operations unit of the Metropolitan police. On 7th July 2005, the unimaginable happened. Four suicide bombers murdered fifty-two people on London’s transport system. On 21st July, just two weeks later – there was another attempt to do the same. As I desperately searched for the answers behind why this had happened and who had done it, I hunted down suspects, chased terrorists across continents, and had unprecedented access to the world of spies, secrets and foreign intelligence agencies. On leaving the police, I realised that my school careers officer had been wrong to tell me I couldn’t follow my dream. Okay, so I never made it to the moon, or even to becoming a fully-fledged secret agent – but I came as close as a boy from a council estate could. You were the lead detective on the intelligence cell following the 7/7 terrorist bombings in London, which must have been an awesome responsibility and a horrendous experience. How did this inspire you to write? The quest for the truth about the London bombings took years to unravel. Thousands of men and women played their parts in helping to unravel that truth, some of which was presented to a coroner’s inquest. Yet, despite years and years of painstaking work, I still felt that we had only scratched the surface of what really went on. We had accepted it was terrorism, but what if we were wrong? I knew that I had a story to tell. Writing my first thriller, The Theseus Paradox, was my way of making sure that the story didn’t die with me. You inspiration must obviously come from your experiences; is there one criminal characteristic/criminal personality you find hard to write about? Tell us why? Writing about criminals is the easy part. They aren’t the problem. It’s the legacy that the bereaved leave behind on the living; the trauma, the sadness, the loss. As a police officer, you become hardened to dealing with a dead body in isolation, you find coping mechanisms to make it just about bearable. Dealing with a dead body when you have to interview distressed family members all grieving at the same time, is incredibly difficult. In the police you have to bottle it up and continue to act professionally. It’s only years later when you’re writing about this stuff and remembering these things that you find the tears splashing down onto the keyboard. Then you realise that the emotion has been trapped inside of you all that time. I guess writing is a cathartic exercise in freeing up this trapped emotion. Are you tempted to make your criminals a lot more violent and evil than you’ve found the ‘real’ ones to be? No. 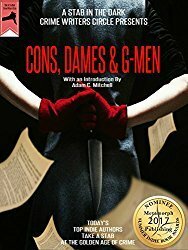 The truth is stranger than fiction and I pride myself on the fact that my crime fiction is as close to crime fact as it comes. There’s enough violence in the world to never have to make anything up. I don’t write graphically about gore – for me it’s about the emotional residue that’s left. That is the thing that stays with you as a police officer or a detective – or for anyone in the emergency services, I think. Do you think your encounters with such people colours your way of thinking about people, the general public and even yourself? Many years spent as a detective means I’m very suspicious of people’s motives. I don’t take life at face value. I like to question everything, get to the bottom of situations and understand what is driving someone to do what they do. Because I still work in security and policing is in my blood, I will often find myself gazing down Oxford Street and appraising people’s behaviour as if I were still a detective. I still cannot sit in a store or restaurant with my back to the door, just in case there’s ever an armed robbery… and believe me, it’s happened. You say that you cannot tell the truth but you can tell stories based on the truth…You don’t lie but you spin a good yarn I think. How close to the truth are you prepared to go with your books? Obviously, I do still have to respect legal boundaries around what is libellous, and I do take legal advice. As many of the events which I write about are very close to my heart, and because I have been working with charities that are supporting families affected, I am careful about how much I say and how much I share with readers. Many of the visceral things I experienced on 7/7, for example, will never be discussed in the public domain. You often appear on TV/radio and in the press as a ‘go to expert’ whenever there is a terror-related crime or similar; why is this? Terrorism investigations are not treated like any other crime in the UK. The security service has primacy and the police are second to them. As a result, terrorism investigations are very complex and have many layers. It can often be difficult for even seasoned crime correspondents to understand how all of it fits together, when they haven’t worked within specialist operations. I am very lucky to have had experience from the ground up across the various levels of a terrorism investigation; from trawling the wreckage at terrorist bomb scenes, right up to working side-by-side with MI5 at Thames House. There aren’t many people in the world who have been lucky to have had that experience, so I’m often called upon by those in the media to fill in the gaps, or explain issues from an independent point of view. Do you enjoy it or would you rather you were left to your writing? I feel that a lot of what I do in the media is almost a bit like a public service. Whilst terrorist attacks are very distressing, these events are quite rare and we have a fantastic group of people working on combatting these things. I am happy to give reassurance and explanation, whilst trying to get the facts across to the public using the benefits of my experience. Have you ever wondered about walking down the street, or sitting on the tube and coming face to face with someone you’ve previously put away? David, thanks so much for being a great guest and answering my questions so comprehensively. I really hope you will garner more readers and followers after being here. I’ve found this really fascinating and I am sure others will too. David regularly comments on matters surrounding crime, policing and terrorism for international news and media outlets such as the BBC, NBC, ITV, Sky, The Wall Street Journal, Daily Mail, The New York Times, Telegraph newspapers, International Business Times, London Evening Standard, AFP, The Guardian, The Independent and many others. You can see some of his media work here. David was a storyline adviser on organised and gang crime, with a particular specialism in car theft and operations at The Metropolitan Police’s Stolen Vehicle Unit. David worked as a cold case advisor to the Crimewatch team and was involved in creating dramatic reconstructions of gang robberies. A BBC film crew followed David every day for a year as the lead protagonist in BBC documentary ‘Burgled’. The show gave the BBC film crew unprecedented access to the best performing Burglary Squad in the Metropolitan Police. Fab interview, David/Jane. I’ve heard David talk on TV, cool, calm, and made perfect sense. Also, I didn’t feel at all intimidated when I met him at an author meet up. 😉 Got my copies, David. Well done on proving your careers officer totally wrong. Sometimes you have to reach for the stars. Thanks so much for reading and reblogging Claire, he is an interesting man and a popular guest. An excellent informative interview. I’m ordering David’s books now! Many thanks, Jane and David. Thanks for reading, Nik, and delighted that you have investigated the books! Be great to hear what you think about DI Jake Flannagan’s adventures. I was looking forward to this interview, and it didn’t disappoint. Great interview. My compliments! Glad you enjoyed it. David was a fab guest. Thank you for the compliments, Pamela and appreciate you reading. Best wishes to you. A HUGE fan of David’s and looking forward to MORE!!! Thank you for the share, Morgen and for re-blogging. I’ve shared this over on Twitter. Have a great day! Check out this excellent interview with former counter terrorist detective turned author, David Videcette, from this post on Jane Risdon’s blog. He is a fascinating author. My pleasure. Thanks for sharing, Don. Have a great week. Absolutely fantastic Jane and also David. Our offices were badly damaged in the 1996 bomb in the Docklands and our Engineering Director injured. It was a time of great worry and concern… and hard to believe it was over 20 years ago now. Thank you Sally. It is quite incredible to look back now on the events at Canary Wharf now. Seems only moments ago in many ways, yet sometimes we forget what’s gone before. Thanks so much for re-blogging David’s interview with me, a great guest and so interesting. Great interview, I’ve added your titles to my list to read, David. Glad you enjoyed David’s interview, what a fab guest! Fascinating interview, David and Jane. A detective friend once told me he wished more cops took the time to cry, to release those feelings once they got home in order to lessen the suicide rate among officers. The general public can’t begin to imagine the horror you’ve seen. I wonder if this is why so many retired police officers turn to writing, because it is so cathartic. Like you, in my writing I’ve always tried to show the impact of crime. Sue thanks for dropping in and reading David’s interview, such fun setting the questions and such fab answers. Jeanice, so glad you enjoyed David’s interview. It was fun setting the questions. Hi David, wonderful to meet you. A story is always much more interesting than the truth! Great fun to interview and such fab answers Subhadipmajumdar. Glad you enjoyed it. Lovely to be a guest on your blog this week, Jane. Thank you for your in-depth questions. Was a real pleasure to take part. Fascinating! Thanks, both, for a great interview! What an interesting background, and I enjoyed reading how it all plays into the writing. Margot, so fascinating and a lovely guest too. Brilliant insight Jane. I don’t usually read this type of book but downloaded both and I’m looking forward to reading them. Every respect to our brave and clever men and women that keep us safe. Janine that is wonderful, David will be chuffed and I am too. Do enjoy it. 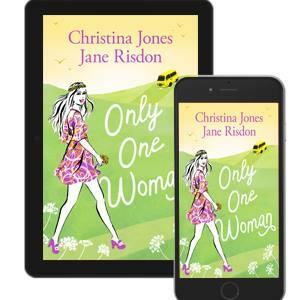 Excellent interview Jane – I’ve bought the book 1 more for The Hubby than me – I think he’ll enjoy that. Well he pales when I read the more gory ones of mine to him so maybe I’ll need a cold compress handy!!! Perhaps I should read it first. Glad you enjoyed it and thanks for buying his book, love to know your thoughts. Fab guest.